Nikki has always felt a call from the Lord to spread His word through her passion—writing. Originally from southern Louisiana, she currently resides in the city of Ruston, Louisiana with her husband Bryan and daughter Adalinne. 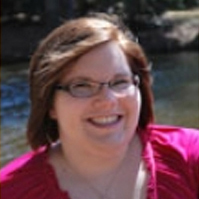 Nikki graduated with a Bachelors degree in English Literature from Louisiana Tech University in 2008, and plans to earn a Masters degree in Library Science within the next few years. She loves her job as a children’s librarian in Monroe, Louisiana where she can share the joy of a good book with every child she meets.